Toys "R" Us announced that its annual Biggest Big Book holiday catalog is on its way to homes nationwide. Nothing new there, but if you don't want to wait, you can get a peek on the store's Facebook page. And if you don't want to carry around the 80-page book, there's an app for that -- it lets you thumb the catalog, create and share gift lists and locate the nearest store from your iPhone or iPod Touch. The toy store is just the latest retailer to jump onto the next trend in online marketing. Now it's not enough to have a website; a store needs a Facebook page, Twitter feed and mobile phone application to compete.And it's not just online retailers or stores catering to young people. It's everyone from the corner store to big-box chains. You can now "friend" Target (TGT) on Facebook and follow Nordstrom (JWN) on Twitter. 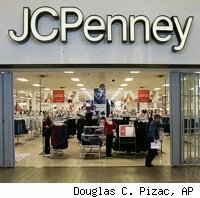 Or, download the free iPhone app from J.C. Penney Co. (JCP) that lets you browse the latest store circular, check for unadvertised specials or find the nearest store. Stores use Twitter to advertise special events or limited-time offers, almost like Kmart used the old Blue Light Special, and can send coupons to your cell phone that can be scanned at checkout. Nordstrom's recent tweets even included some back-and-forth about a customer service issue that was eventually resolved. Those social media and mobile applications will play a big part in this year's holiday shopping. Shop.org, the online arm of the National Retail Federation, found 47.1 percent of retailers will use more social media this season: 60.3 percent have added a Facebook page or improved it this year, 58.7 percent have done the same for their Twitter pages and 65.6 percent have added or improved blogs and online news feeds. It's easy to see why stores will do this: Setting up a Facebook or Twitter account costs nothing and maintaining it is easy, if you already have staff to handle your website. In a year when many retailers have barely kept up with Wall Street's profit expectations by cutting costs, any marketing edge that doesn't cost a bundle is a blessing. "Social media is a lot cheaper than a lot of advertising," said Ellen Davis, vice president of the NRF. Retailers know consumers are going online even when they shop in stores -- the NRF's annual holiday survey estimated shoppers will go online to comparison-shop and to locate stores in one of every three gift purchases this holiday season. So retailers use those media to keep their brands out front and put promotions out there, said Davis. "Many of them are still trying to get their arms around it," she said. As retailers see websites turn into profit centers of their own, online marketing efforts including mobile and social media, are less an add-on and more a full participant in the marketing plan. And it's important that retailers have consistent messages across all their media, so what's shown online matches what's in the store, said Phil Rist, executive vice president of BIGResearch, the market research firm that did the NRF survey. "The key is retailers should focus on making sure their marketing messages are integrated...because the consumers are using all their tools to manage their budget this year," he said. Indeed, there is evidence that shoppers do use these technologies. The annual holiday shopping survey from consultancy Deloitte LLP found 19 percent of consumers plan to use their mobile phone while shopping this holiday to find stores, get coupons and sale information and research products and prices. That trend is even more marked among younger shoppers; 39 percent of 18- to 29-year-olds plan to use their phones for holiday shopping. Considering stores are trying to reach those younger shoppers, it makes sense to put offers out where the customers are looking.